Nestled in the southeast corner of Phillipsburg’s downtown is the Majestic Community Theatre. In 1905, this building opened as the Winship Opera House. Mr. Winship had the foresight to renovate this building into a moving picture theatre in 1925. Down through the years, the theatre business in Phillipsburg progressed along with the movie industry. Then in 2000, the Majestic Theatre was saved from closure by the community assuming management. From preschool age to retirees, the doors of this theatre have welcomed generations of residents. It has played the role of entertainer, baby-sitter, first date attraction, and educator to the many who stepped into this magical world. Movies are shown Friday through Monday evenings starting at 7:30 p.m. These first-run movies are being shown on a new 3D/Digital projector. 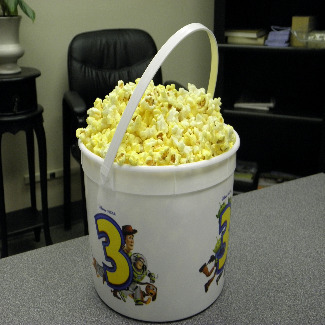 Admission and popcorn/snack prices can be found on our Facebook page.